This is a story of the 1970s. Of a road trip in a wood-paneled station wagon, with the kids in the way-back, singing along to the Steve Miller Band. Of brothers waking up early on Saturday mornings for five consecutive hours of cartoons. Of growing up in a magical era populated by Bic pens, Mr. Clean and Scrubbing Bubbles, lightsabers and those oh-so-coveted Schwinn Sting-Ray bikes. And of a father—one of 3M's greatest and last eight-track salesmen—traveling across the country on the brand-new Boeing 747, providing for his family but wanting nothing more than to get home. 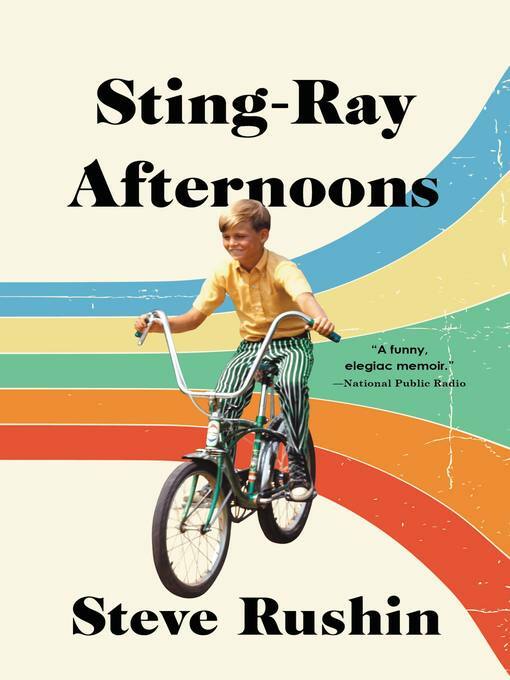 In Sting-Ray Afternoons, Steve Rushin paints an utterly nostalgic, psychedelically vibrant portrait of a decade overflowing with technological evolution, cultural revolution, as well as brotherly, sisterly, and parental love.